Let's say you are a blogger and you have blog readers out there interested in what you are recommending and sharing. But, you might be uncomfortable in connecting with all those folks on Facebook with all the security concerns and as you don't wanna mix important updates of your loving friends and family with other folks. 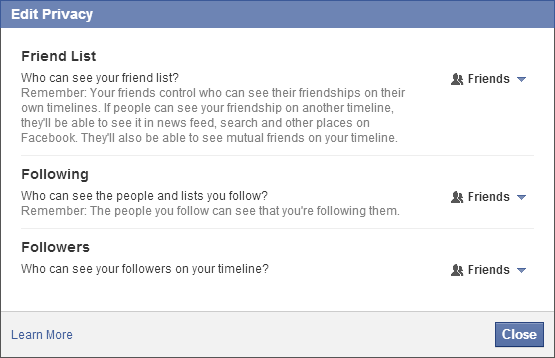 How about letting them follow your public updates without keeping them in waiting list with unconfirmed friend requests? Unlike Twitter, Google+ or such social networks, Facebook had limitations in connecting with people. Early days, the only way to connect was sending a friend request and awaiting for acceptance. It's true that Facebook is a place to connect with people you know and there were number of reports showing that befriending with unfamiliar faces could be risking your identity. We already discussed about securing your hacked profile. But as the network grows rapidly, it was not just about known friends and family anymore. Facebook had to think of an alternative as people seeking a way to connect with people they are interested in, so they can view what they are sharing or talking about. Wouldn't you love to see what's going on with your favorite movie star? 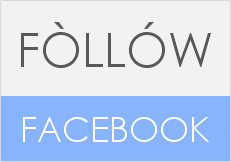 ;) That's where Facebook introduced Subscribe feature which now referred as Follow. This feature is really awesome and I'd say a great solution to connect with favorite people rather than stay in touch with their public fan pages. With the Follow feature, anyone can hear from interested people on Facebook. Obviously, no one can talk directly with that person, but can see what's happening on his / her profile and like or comment on his public posts. Once a Facebook user start following his favorite person, public updates from his favorite will show up on his news feed. But here that person needs to have subscriptions enabled to let people follow his/her public updates. If you are a one needs to let others follow your public updates instead of keeping bunch of unapproved friend requests, let's figure out how to enable subscriptions on your own Facebook profile too. 2. Navigate to Followers settings tab. 3. Now select Everybody for the option Who Can Follow Me?. 4. Once you enable following your updates for everyone, you will able to manage settings on how your followers can interact with you on Facebook. Follower Comments - Here you can specify whether your followers can comment on your public updates or not. Follower Notifications - Specify whether you wanna notify when your followers interact with your public updates. 5. Now you are ready to go, and anyone can easily follow your public updates. Make sure to set privacy as Public when you wanna share an update with your followers. * You can learn about people who following your public updates by navigating to Followers page from About section or Friends tab. * You can manage who can see your followers too. 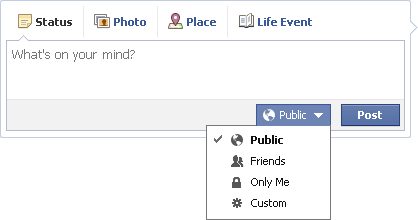 Navigate to your Friends tab and select Edit Privacy option from Manage button. Then you can change privacy settings related to Followers. * If you turn off follow, your followers will not see your public updates on their news feed. But once you turn it on, your existing followers will start getting your public updates again. I did exactly what was there in the post and implemented your shared knowledge on my FB page and it was successfully done. You have been sharing such useful information and that too on time, that I feel really a learned person after reading your post. Ah...I knew that one too Mayura! I remember the time the subscribe option had come up and I was still thinking whether to have it up on the profile or not, until I went ahead with it and am glad I did. I guess it allows people to subscribers or followers without even being in your friend list (if they like what you share), and with time you get to know each other through this way also - isn't it? I think those subscribers have slowly become like friends now for me. Thanks for coming over and sharing your thoughts even after trying it out Sapna :) Really appreciate your compliments too and they encourage me always. That's so cool dear :) Glad you knew that and my hope here is to let people know how they can get rid of bunch of friend requests from people they don't know while letting them follow updates. Absolutely dear :) It's a great way to start bulding relationships with people you don't know as you don't wanna let them in first time. Also it helps prevent spammers from getting into your friend list where they start to spam afterwards. As like you, I'm really glad Facebook introduced subscribe feature which is now follow. Hello Mayura thanks for the tips my friend, you know I have always had problems with Facebook interface, it's not the easiest interface to get use to. I don't think I would like getting tons of request from people I don't know it will only be a problem in the long run. Thanks for another great tutorial. talk to you soon. 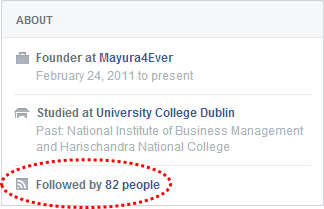 Interesting you wrote about this Mayura, as the other day I just enable this feature on my new profile. I'm not sure if I like it yet or not but thought I would try it. Thanks for sharing it! Thanks for another great tutorial. I used to see this followers button but I never used it but I followed the instructions above and I am all set now. Thanks. Thanks for the useful information and tutorials Mayura. Always something new to learn. Keep them coming. As usual Mayura, another wonderful lesson! So far, I think I have it under control. No more pests coming to me. So I must have done something right. I'm am going over it again as a step by step process using this blog. This way, I'll make sure that whatever I did before is correct. Thanks again I love coming to the Mayura University! You are a source of awesome tips, Mayura! I haven't even heard about this new feature until I read your post. So thank you for this! Unfortunately, Facebook is blocked at work so I'll have to wait until the w'end to give this a try. Thank you for this! I was wondering about this the other day Mayura, I thought they just changed the wording. Thanks for the info. Will have to go check mine out now. Woah... You have implemented it :) Well, I find it very helpful when it comes to friend requests from unknwon folks dear. May be they might interested in updates so I find Follow feature is very helpful for me. I would not have known about this had I not found your post :) Thanks for sharing this with us. I'm off to check out my settings. I'm always concerned about security on Facebook so I don't make my personal Facebook updates public. That kind of makes this feature redundant for me. I can see how it would be useful to people though. Ya know, I was wondering how people set their profile up to have followers. Now I know! I followed your awesome tutorial and now I'm all set up and good to go! Now I won't have to accept friendships of total strangers anymore or leave them hanging out and not responded to. Thanks for another helpful tutorial! I'm sure this post is helping a lot of people! We always have the room to learn something new every day if we open for it, no? :) I'm glad to hear you have gone through it and made the change already mate. Personally, I share stuff of others (Mostly valuable posts, images or so) public when it's gonna help anyone. But when I need something to share only with my friends, then I take control of the privacy option :) No personal stuff goes public though. Sometimes it allows us to find interesting folks on Facebook we have never come accross :) Finally, it's all your choice mate. Owkies... Now you have enabled it and ready to go with followers :) That's really glad to hear dear. That's a nice idea :) Sending them to fan page. I've never did so dear. Sometimes I doubt how far they would be interested in our blog updates as I have no idea why they are sending me a friend request while my blog has link to fan page. But I need to try and see myself, right? :) Thanks for tip there dear. This is very helpful information. I must admit, I find all the different settings on FB very confusing and I didn't understand what the 'subscribe' thing was all about - you've explained it very well. One of the things I find frustrating is when people have their profiles so locked down that you can't even send them a 'thank you' message - I like to thank people if they 'like' my page, but some people's accounts won't allow it. Thanks very much for unlocking a little FB mystery for me! I jumped on Facebook when I knew that I needed an online presence. I must admit that I had no clue at all about all those subscriber or follower buttons. Thanks for the useful information and tutorials. There is always something new to learn from you. How I wish that I knew earlier! I now have to clean up the mess (after I have had the FanPage organised). Ha ha... Cleaning up is a good thing and glad you taking action on it dear :) I hope you will enjoy and get familiar with Facebook features more and more. I don't have this function activated on my profile because I want people to friend me if they're interested in what I share. Now those people who do send me a friend request yet they don't email me telling me why we should connect then I just ignore their request and clean that out periodically. I don't even look at it because people should know better by now. They should. Another great tutorial lesson from you. Thanks! You're welcome Pawan :) Thanks for commenting.